The Huskies secure Penn-Johnson to a recruiting class that ranks 25th nationally and fourth in the Pac-12. Bryan Penn-Johnson verbally committed to the University of Washington men’s basketball team last month and the four-star center made it official Wednesday afternoon when he signed a scholarship with the Huskies. 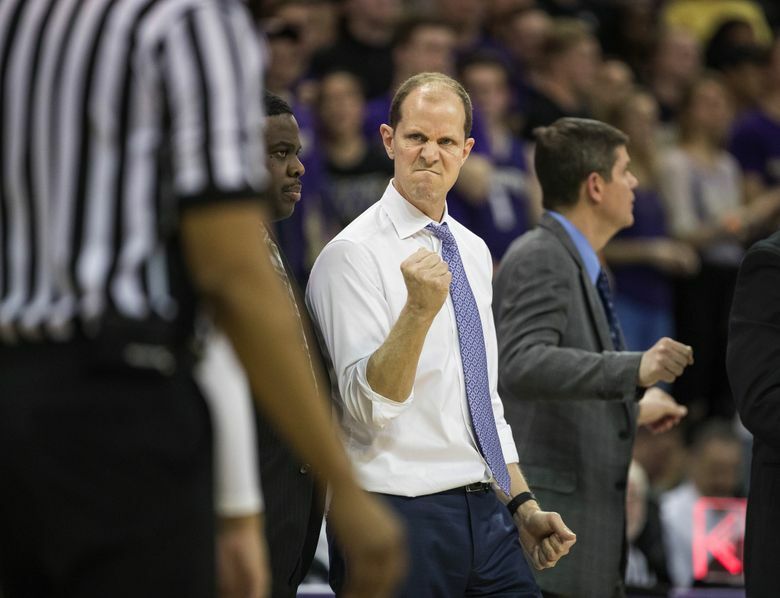 The 7-foot and 215-pound center is UW’s the highest rated prospect among a four-man class that includes four-star shooting guard Jamal Bey, three-star point guard Elijah Hardy, and three-star power forward Nate Roberts – who signed last November. Penn-Johnson, who grew up in Henderson, Nevada, played last season at Wasatch Academy in Pleasant, UT. He helped Wasatch to a 24-2 record. The addition of Penn-Johnson bolsters UW’s 2018 recruiting class, which ranks 25th nationally and fourth in the Pac-12 by ESPN.com. Penn-Johnson is the tallest player on the UW team and conceivably, he’s an ideal fit in the middle of Washington’s 2-3 zone. He adds size and bulk to an undersized UW frontcourt led by All-Pac-12 forward Noah Dickerson and includes junior Sam Timmins and freshman Hameir Wright. Washington secured a verbal commitment from forward Ed Chang last year, but it’s uncertain if he’ll sign during the spring signing period that began Wednesday and ends May 16. He could reclassify for 2019. If the Huskies bring in a four-man class, then they would have 12 players on the roster including Dickerson, who declared for the NBA draft but could return to UW because he has not hired an agent. Since Washington finished 21-12 in the second round of the National Invitational Tournament, three players have transferred, including reserve guards Carlos Johnson, Michael Carter II and Bitumba Baruti. Junior forward Devenir Duruisseau left the team in November. The NCAA allows teams to award 13 scholarships.